In the 1990s automated parking was still largely just a discussion about possibilities. While there were some old “mechanical garages” in New York and New Jersey, to most people in the parking industry, a robotic garage was one where the entry and exit gates went up and down automatically. The concept of a software system running a garage was still futuristic. This was the environment in 1994, when Royce Monteverdi coined the term “robotic parking” and established Robotic Parking Systems, Inc. Monteverdi developed the “Lift and Run” system, a software controlled system that ran three separate sets of machines, for the x, y and z axes, to take a car from an entry bay to an upper level, park it, and bring it back to the gate or terminal on demand. The Lift and Run system, integrating mechanical capability with software control, was a monumental breakthrough in the parking industry. As the New York Times mentioned in 2000, Robotic Parking Systems’ working garage in Hoboken, NJ was the country’s first fully automatic garage. In the following decade, the term “robotic parking” was picked up and used by others entering the field. Today it has become a generic term for the type of software controlled automatic parking system pioneered by Monteverdi. And of course, as with any new technology, those entering the field have attempted to bring other technologies into the field, or innovate on the original concepts, with varying degrees of success. News occasionally comes across our plates about a “robotic parking” garage having difficulty retrieving cars promptly, even some with much smaller capacities than the garages built by Robotic Parking Systems. The use of the term robotic parking should not be interpreted to mean that these garages are using the Robotic Parking Systems technology, which includes the patented Lift and Run system and Robotic Parking Systems proprietary software. To date we have not seen an alternative system that has been able to match or exceed Robotic Parking Systems’ peak traffic rates of delivery. 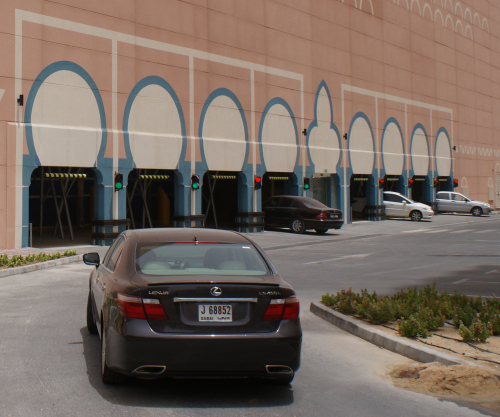 The Robotic Parking Systems garage in Dubai, for example, was tested in 2009 and delivered 252 cars per hour; more than four cars per minute, at peak traffic times. The garage the company is currently building will deliver more than 500 cars per hour at peak traffic. This is not the first time that an original name has been picked up and used across an industry. Escalators were once the proprietary invention of the Otis Elevator Company. We all know how Xerox and Kleenex became generic terms. Whatever confusion is created by seeing “robotic parking” in a headline of a story that has nothing to do with Robotic Parking Systems, Inc., we are proud that, like Xerox and Kleenex, Robotic Parking Systems continues to provide the benchmarks and performance standards we came out of the (robotic) starting gate with in 1994.